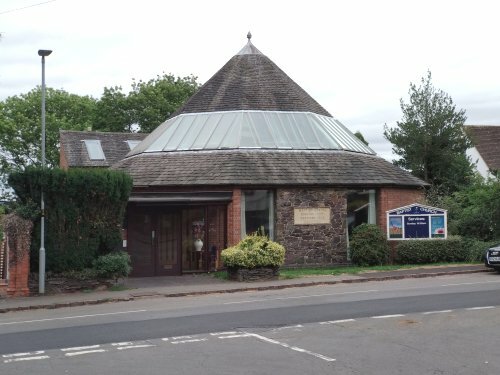 The Baptist Church premises are on Main Street, opposite Tuckett Road. A Baptist congregation started meeting in a private house in Woodhouse Eaves around 1780. The Church erected its first building in 1796, largely replaced by modern facilities in the second half of the 1900's. A picture from the 2001 ↪Village Tour↪ shows that the appearance is little changed since then, though earlier buildings (pictured in the porch) were substantially different. The main weekly gatherings of the Church are a service on Sunday mornings at 10:30 and a prayer time at 6pm. Look for more details on ↪the Church's web page↪.